One of the best aspects of running a music blog is receiving a fantastic album in the post. This has happened many times over the years with acts such as the wonderfully inventive Free Swim and the beautiful Co-Pilgrim, both bands that dazzle time after time as exponents of great English pop. We do our bit. We promote such acts via social media and write reviews, however, we are just a small fish in a gigantic pond. With this in mind we were delighted to receive the third album from another English pop dazzler, Alex Highton, ahead of its March 30th release. But have been also frustrated to discover, via a hasty Google search, that so few reviews have been published since then. Let’s at least get this review out there and hope more follow. Alex Highton and his great music deserves it. But before we wade into this latest release here’s a quick recap of Alex Highton’s recent career. He first appeared on our radar in 2012 with the release of his debut album Wooditton Wives Club. This focuses on his own move from city to rural life and features some marvelously savvy pastoral folk-pop. Song for Someone on this is a particular highpoint, and was later covered expertly by John Howard. Two years later 2014 album number two, Nobody Knows Anything, was released. This saw his palette become far broader, with electronica and a few nods to 1960s psychedelia added to the mix. It garnered a 9/10 score from us. With this third album Liverpudlian Alex Highton has turned up the synths with 1980s and 1990s influences coming more to the fore. This is particular notable on opener Benny Is a Heartbreaker, an Ultravox-esque thriller of a song. There’s a Part to Everyone That You Can(‘t) Love is also a great pop song, complete with woodwind section, oddly placed brackets and clapping. Another highlight is Getting Fucked Up (It’s all you ever do), which somehow manages to blend Beck’s back catalogue with George Harrison’s Beatles epic Within You Without You. This is not the first time the Fab Four’s influence has become apparent across Alex Highton’s albums. Although previously he appeared to be more of a Macca man, particularly on some of his more whimsical numbers. Across the ten tracks there a range of different styles. All are hinged together by an inventiveness and desire to do more with the notion of the three minute pop song. So here we have a great album, one that will appeal to a wide range of people, with a varied array of tastes. The production value is strong. The tunes are excellent. It is demanding to be reviewed, listened to and even cherished. 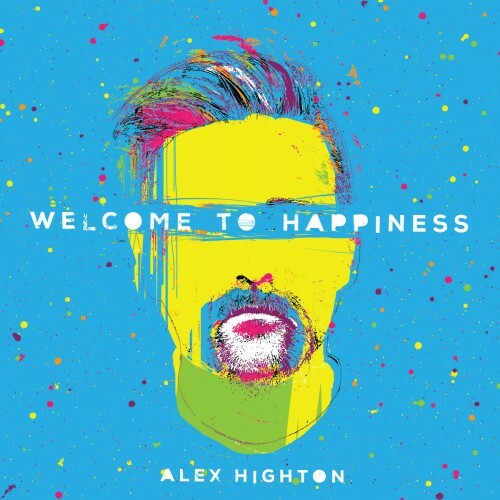 For more information about Alex Highton – Welcome to Happiness visit here.